The 2019 Kia Soul EV from Briggs Kia in Topeka, KS, serving Emporia, is a unique compact crossover that provides a fun driving experience. Keep things looking sharp with body-color accents like the standard bumpers and front grille, as well as power, heated outside mirrors. Mirror-mounted LED turn signals enhance the visibility of your actions, so other drivers can take note. 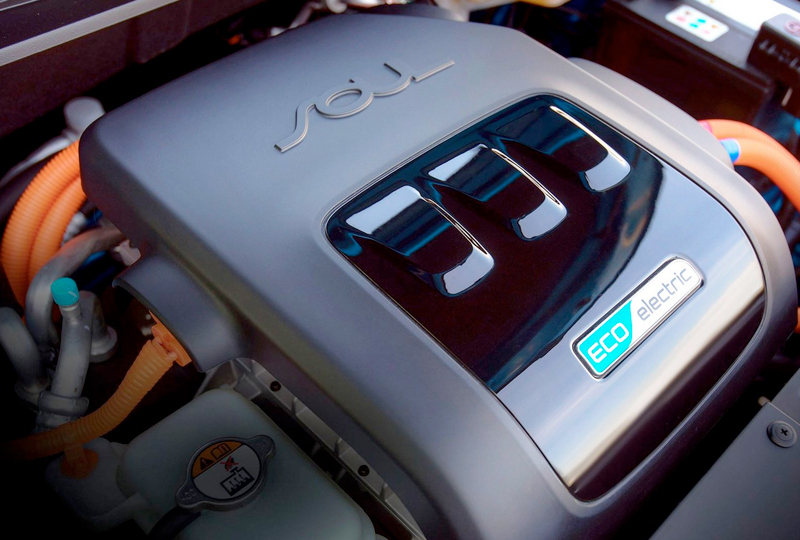 A powerful permanent magnet, AC synchronous electric motor uses a lithium-ion polymer, high-voltage battery to produce 124 MPGe in the city and 93 MPGe on the highway.1 An active Eco system lowers torque and increases regenerative braking to maximize your efficiency on the go. 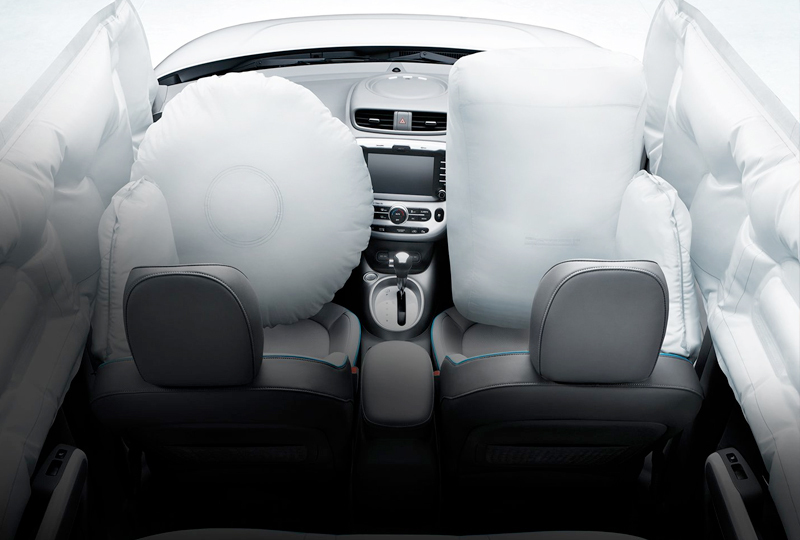 Exclusive bio-fabric upholstery offers a relaxing experience behind the wheel with included heating for the front seats. UVO Eco is your audio and navigation system that offers multiple settings on an 8-inch touchscreen display. Enhanced smartphone integration through Apple CarPlayTM and Android AutoTM keep your favorite compatible apps on the ready over the entertainment system. You'll find amazing deals on a new 2019 Kia Soul EV at Briggs Kia; plus, new auto loan rates are at their lowest in years. We've got incredible offers that you have to see before they're gone. 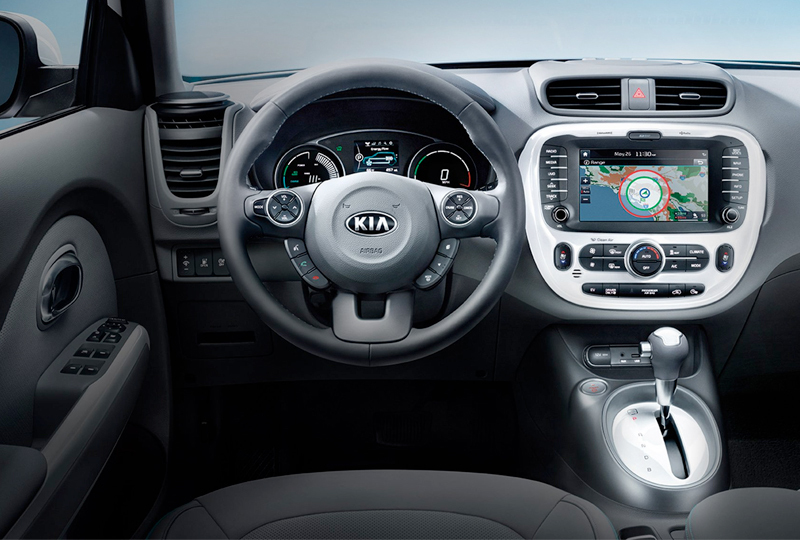 Visit the dealership today at 3137 S Kansas Avenue, Topeka, KS, and take your Kia test drive. 1 Estimated mileage equivalent. Actual results may vary based on driving conditions and battery charge. The Soul EV and iconic Soul were redesigned together to provide exceptional comfort and maximum flexibility. 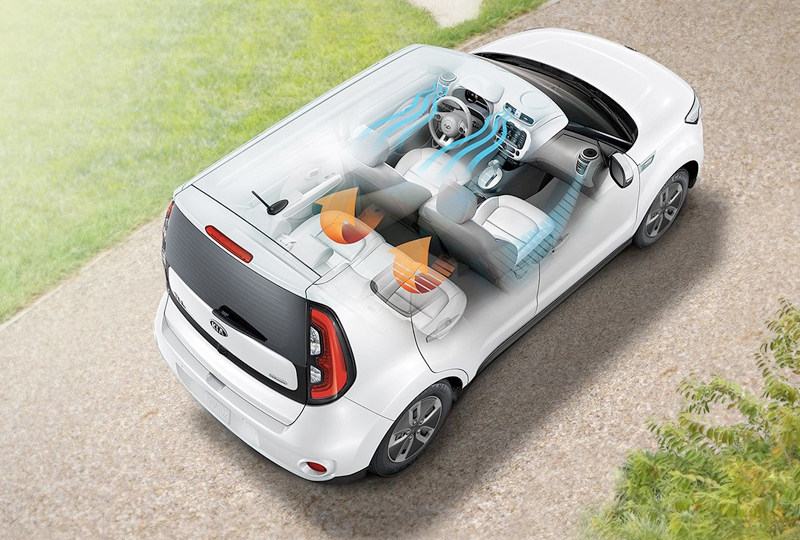 The Soul EV's split-folding rear seats offer ample cargo space and a variety of storage options. And the under-floor battery means plenty of interior space for your friends. From the exclusive bio-sourced materials and available leather seating all the way down to the distinctive highlight stitching-this interior looks, feels, and does good.